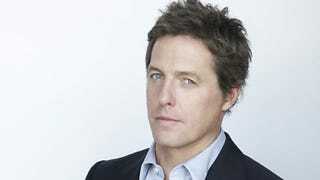 Award winning Doctor Who show runner Russel T Davies and Dangerous Liaisons director Stephen Frears have lured Hugh Grant back to the television screen for a three-part political drama. In A Very English Scandal, Hugh Grant is playing the disgraced MP Jeremy Thorpe, who in 1979 was tried but acquitted of conspiring to murder his ex-lover Norman Scott. During Jon Pertwee’s tenure as the Third Doctor there is a scene where the Brigadier has a phone conversation with a Prime Minister called “Jeremy”. It’s one of those moments where the show taps on the shoulder of contemporary events because there was a feeling in the air that Seventies Britain would stick two fingers up to the Conservatives and Labour and we would see the first Liberal government since the First World War. It didn’t turn out that way. We got a minority Labour government with winters of discontent. But if “Jeremy” had been elected we might have been treated to the prospect of a Prime Minister in the dock. The real life Jeremy was compromised by the events that underscore Davies and Frears new drama. Jeremy Thorpe was considered a serious contender for the office of Prime Minister. On his road to becoming leader of the Liberal Party, Thorpe built a reputation as an internationalist, a supporter of human rights, and an opponent of racism. All swept away when he failed to explain himself in court. He suffered from Parkinson’s Disease before his death in 2014. A Very English Scandal is based on the bestselling book by the author and former Arts Editor of the Evening Standard and Sunday Telegraph John Preston. The drama was commissioned by another Doctor Who veteran, Piers Wenger, Controller of BBC Drama, and Charlotte Moore, Director of BBC Content. A Very English Scandal is the shocking true story of the first British politician to stand trial for conspiracy and incitement to murder. It is the late 1960s, homosexuality has only just been decriminalised, and Jeremy Thorpe, the leader of the Liberal party and the youngest leader of any British political party in a hundred years, has a secret he’s desperate to hide. As long as his ex-lover Norman Scott is around, Thorpe’s brilliant career is at risk. Thorpe schemes and deceives - until he can see only one way to silence Scott for good. The trial of Jeremy Thorpe changed society forever, illuminating the darkest secrets of the Establishment. The Thorpe affair revealed such breath-taking deceit and corruption that, at the time, hardly anyone dared believe it could be true. Grant is best known for his own scandal along with roles in Four Weddings and a Funeral, Notting Hill, Bridget Jones’s Diary and About A Boy. He recently starred in the critically-acclaimed Florence Foster Jenkins (directed by Stephen Frears) for which he earned Golden Globe, Bafta and Screen Actors Guild nominations.